Chet Davis takes his 17 years as a professional educator, his formal training and experiences with communications and productivity technologies and provides an awesome learning experience. 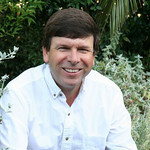 Beginning Spring 2012 Chet Davis will host a series of half-day and full-day workshops around the San Francisco Bay Area. Then, beginning in Summer 2012, Chet will take his workshops around North America in select cities. A complete schedule and agenda will be available soon. Chet's talent as a PROFESSIONAL TEACHER AND INSTRUCTOR, his ability to deliver the message to such a diverse class of learners, in such a way that professionals are not bored or amateurs are not overwhelmed is incredible. He is A Total Professional in everything he does." "Learning by doing is one of the innate ways that students have been retaining information for years. There is no substitute for hands-on direct teacher- to- student learning and Chet, you are a master teacher!" "All of the topics covered were very helpful; there was something valuable in almost every one. I found myself paying close attention to every detail because everything you told us was of such value." "I REALLY enjoyed your class. YOU make the class enjoyable and fun... you are so easy-going and an AMAZING teacher." "Chet is an extremely knowledgeable and insightful instructor with a passion for teaching. He brings humor into the classroom, which aids the learning process. He has the knack to present the subject in different ways to help each student see the point."